With 175 million users, Pinterest is one of the most popular social media platforms on offer. Users can curate collections of images on topics from fashion and beauty to food and fitness, showing off their tastes and gaining inspiration for real life projects. Pinterest’s users function as a network rather than isolated individuals, sharing ideas and creating a communal learning experience. Brands using the app will benefit from positioning their values and identity within wider conversations about trends and style. When promoting a brand on Pinterest, it should seamlessly integrate with other images showing the same trend or aesthetic. Building this visual gallery is a fantastic way to portray a brand in an engaging and insightful way. Get your Pinterest profile ready for business by converting your page to a business account. Doing so is simple; just visit the Pinterest for Business section of the app and click ‘join as a business’. You can then select your business type and enter new profile information. Most significantly, having a business account will give you access to Pinterest’s in-depth and insightful analytics. Information gleaned from analytics is essential for businesses looking to hone their strategy and measure their success. Analytics include the number of re-pins a pin receives, plus the impressions and visits your page has had. These metrics are the most helpful way to highlight what content works and what doesn’t. The pin button is Pinterest’s most powerful tool, allowing users to pin posts to their boards. To streamline the process of adding content to your Pinterest page, you can download the pin widget. The button will be added to your browser, meaning you can pin anything you come across online. This also allows you to drive product-specific referral traffic, which is what makes Pinterest ‘shoppable’, and therefore profitable, for brands. The use of this button begins at your brand’s website: hover over an image, click the pin button and choose the destination collection. Pinterest will then pull through product details and images from the original webpage. From here, you can create a virtual catalogue of products on Pinterest. It’s best to post pins little and often, as a ‘pin dump’ clogs user’s feeds. Pinterest is a place of discovery, and this should apply to brands as much as it does consumers. Make sure you’re using the platform to follow your target demographic and influencers in the industry, using their activity to stay on top of emerging trends. Staying abreast of your demographic’s wants and needs is at the heart of any successful marketing strategy, so ensure Pinterest is providing you with first-hand insight into what consumers are engaging with. Pinterest is an inherently visual platform, meaning users expect well-organised and attractive boards. Carefully curated boards make the page and its content easier to navigate, showcasing key products and collections. By clearly presenting sought after items you’re likely to increase referral traffic to your site, shortening the path to purchase. This tactic is well employed by fashion brand Forever 21. Their Pinterest page is organised into collections, making it easy to browse the relevant section for style inspiration. Capturing the consumer’s attention with attractive boards is a particularly effective way of driving engagement and, in turn, sales. 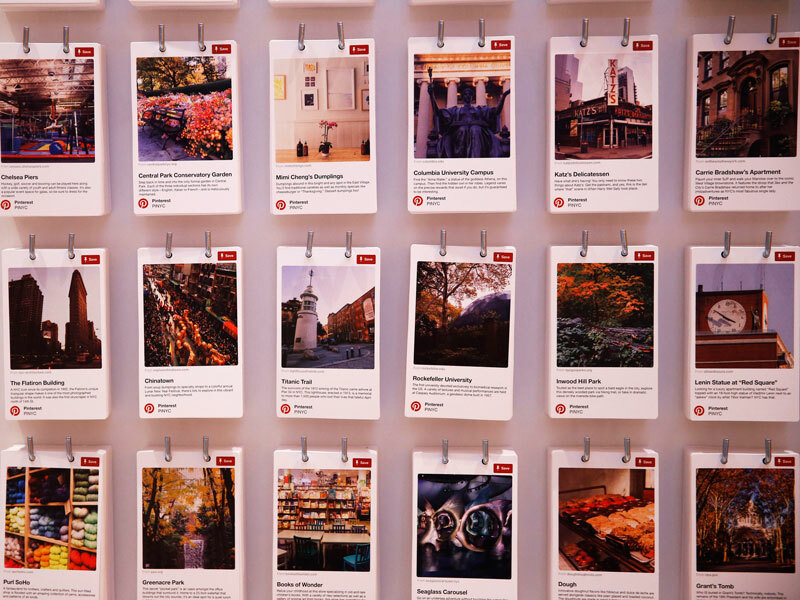 Pinterest prompts users to interact and engage with the content they view. Users are encouraged to upload photos of them trying a pin, whether it’s a recipe, craft idea or item of clothing. Getting these engagements is a huge bonus and a valuable way to measure the success of your product. Again, this provides crucial insight into the behaviour of the consumer, how they interact with products and where there is room for improvement. There are thousands of tips and tricks for perfecting your Pinterest use, much of which must be specific to the brand at hand in order to be helpful. However, these five points are a good start for brands looking to use Pinterest to drive traffic and sales to their site. It’s important to remember to add genuine value to your posts and appeal to the needs of the consumer. Pinterest is first and foremost about inspiration and discovery. Try to follow the 80:20 rule – 80 percent product, 20 percent unbranded content – to create an attractive and on-brand page.